BIG things happening at Outdoor Retailer! NEW BOOTH! Our new home at Outdoor Retailer is greener (and awesomer) than ever. It was built in the good ‘ole USA of Forest Stewardship Council (FSC) certified plywood and recycled polyester fabric panels. Be sure to stop by booth #16045 to check it out! Not going to OR? Don’t worry, we’ll be posting TONS of pictures! Each day of the conference, we’ll be selling a deluxe product assortment to benefit the Conservation Alliance. Order one at the conference and we’ll take care of getting it back home for you. Nikwax Founder, Inventor and overall Head Smart Guy, Nick Brown will be in attendance. Stop by and meet the man, the myth, the legend! If you WON’T be in attendance, fear not! We’ll be tweeting (#ORSM11), Facebooking and picture posting the whole time! Categories: Events, Uncategorized | Tags: OIBIZ, OR, ORSM11, Outdoor Events, Outdoor Retailer, Salt Lake City | Permalink. 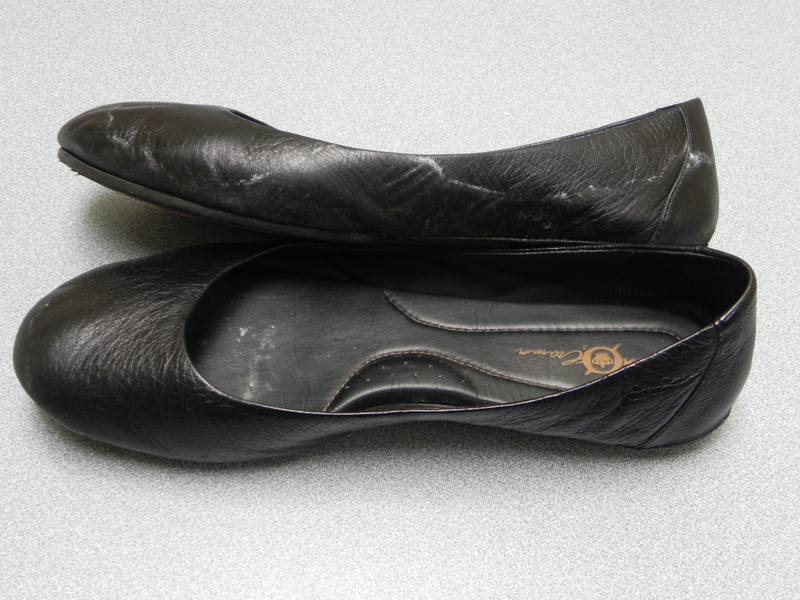 After a weekend walking around in Seattle’s poor rainy excuse for a summer, I noticed that my favorite black flats were covered in white marks. The marks look not unlike the stains that are common from road salt in the winter – and like road salt stains, these were persistent and refused to be rubbed away. 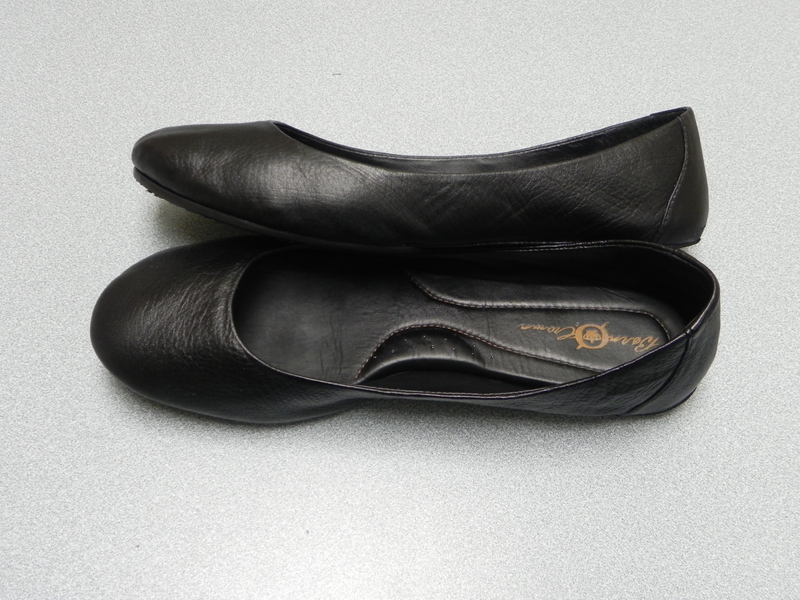 The shoes in question are made by Born of a particularly soft leather, with unfinished seams at the heel. 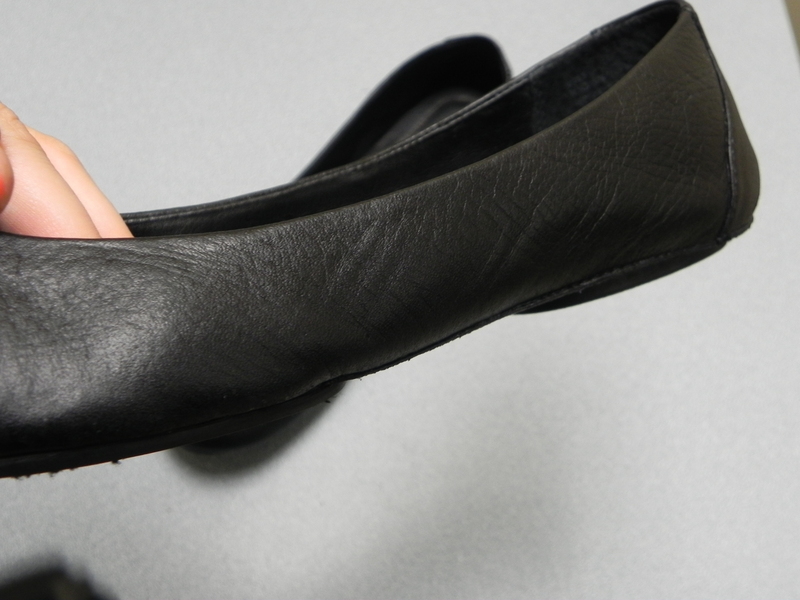 In addition to the change in appearance, the texture of the leather had become somewhat brittle. It was time to put on the ‘ole Nikwax thinking cap. 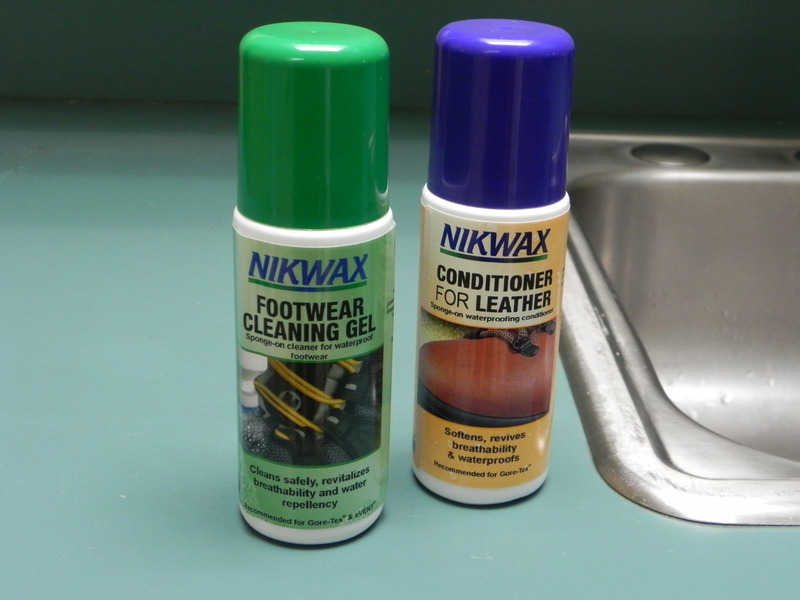 Nikwax products work best when used as a team (cleaner+proofer), so for this job I chose Footwear Cleaning Gel to remove the white marks and any additional dirt/grime/grit and Conditioner for Leather to restore softness and flexibility to the leather as well as to waterproof the leather so this wouldn’t happen again. 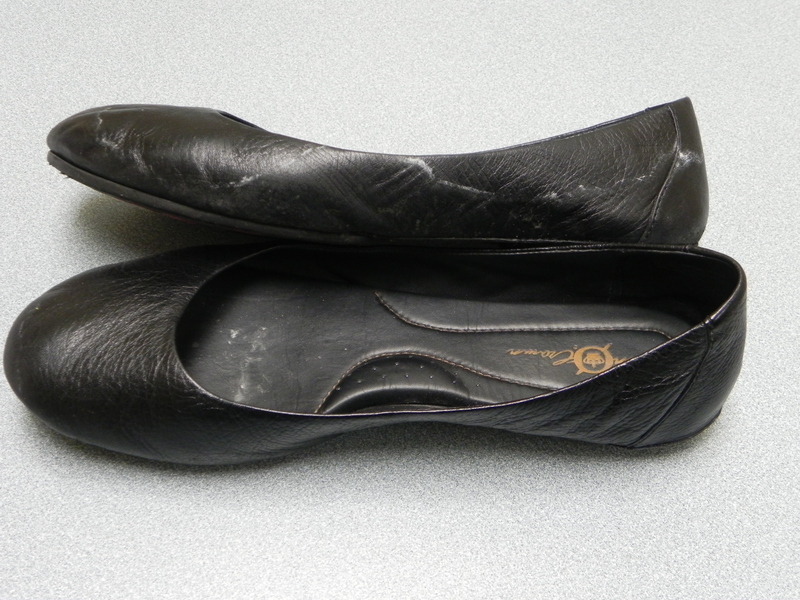 Since these flats are one of my favorite (and therefore frequently worn) pairs of shoes, I also enlisted the help of Waterproofing Wax for Leather in Black to restore color at the toe and heel where it had begun to fade. Almost all Nikwax products are colorless. This product was designed to add color back to black leather goods (look for the black cap at your local retailer). 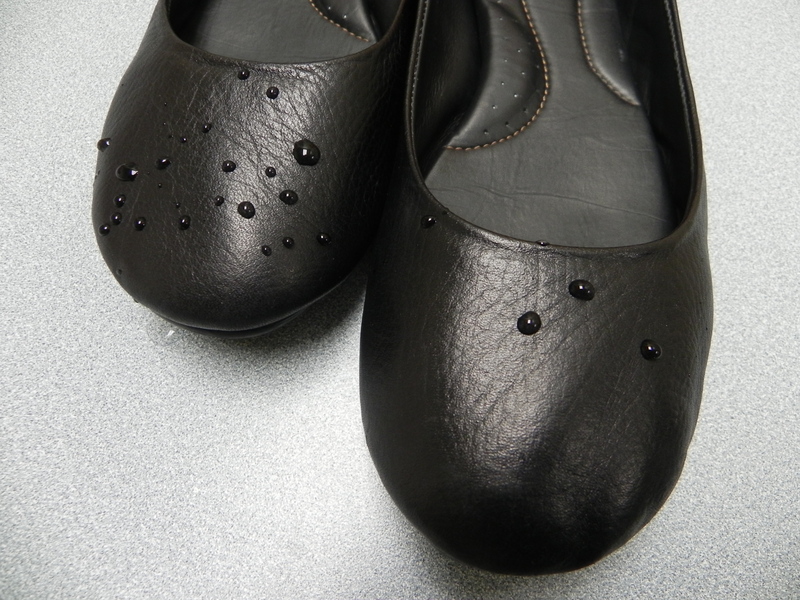 Get the first shoe wet. 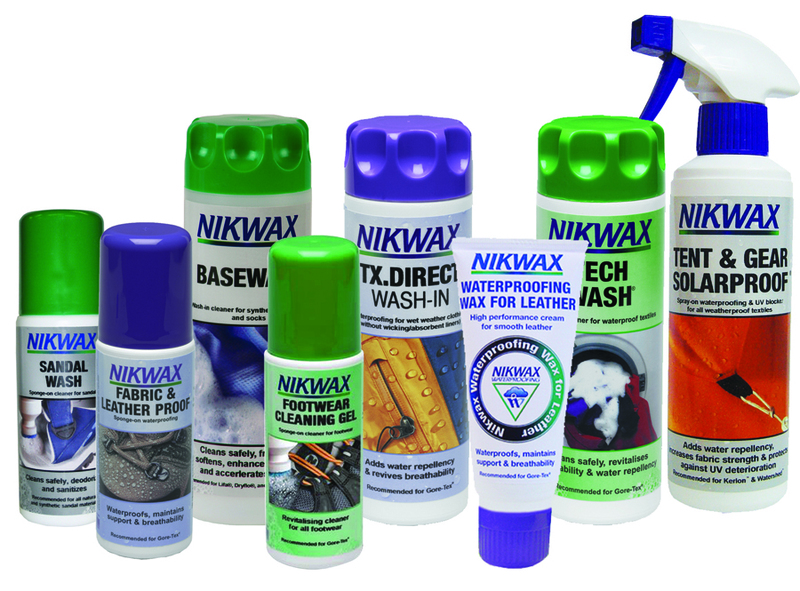 Nikwax products are all water based (and travel on water), so there isn’t any such thing as too much water/too wet. Scrub the shoe with liberal quantities of Footwear Cleaning Gel– feel free to use the sponge applicator, your hands, a soft bristled brush – whatever it takes to get all the grime off (be gentle if your shoes are made of lambskin, suede or anything super soft and scratchable). It'll look filmy or soapy - like this! 3. Rinse the shoe well – again use plenty of water. 5. Let the product sit on the leather for a couple minutes (literally, 2 or 3 is fine). 6. 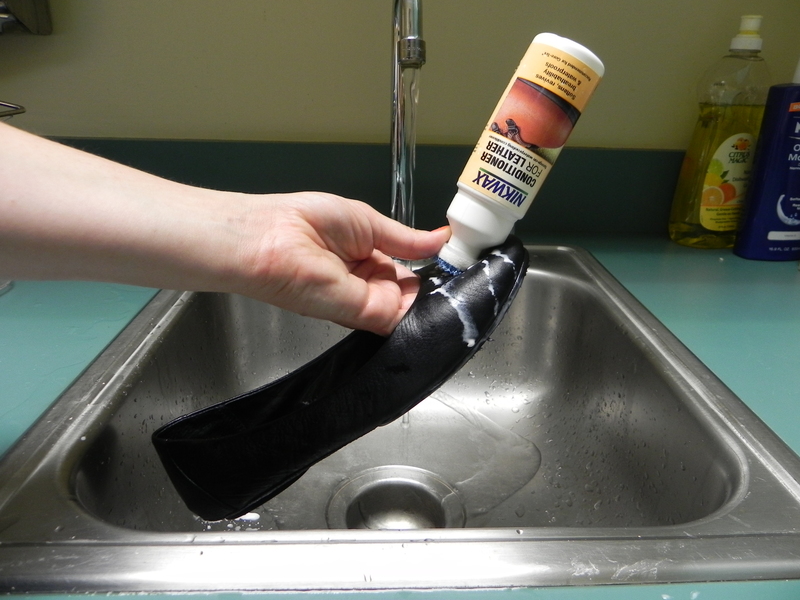 Remove excess product and buff with a soft cloth/rag. *7. This was the point at which I applied the Waterproofing Wax for Leather in Black. Generally you won’t be able to apply anything AFTER a waterproofer (because it won’t be able to penetrate). But, since I was applying it to badly scuffed/worn areas, I just used a light hand with the Conditioner and then went back over the same spots with the black. 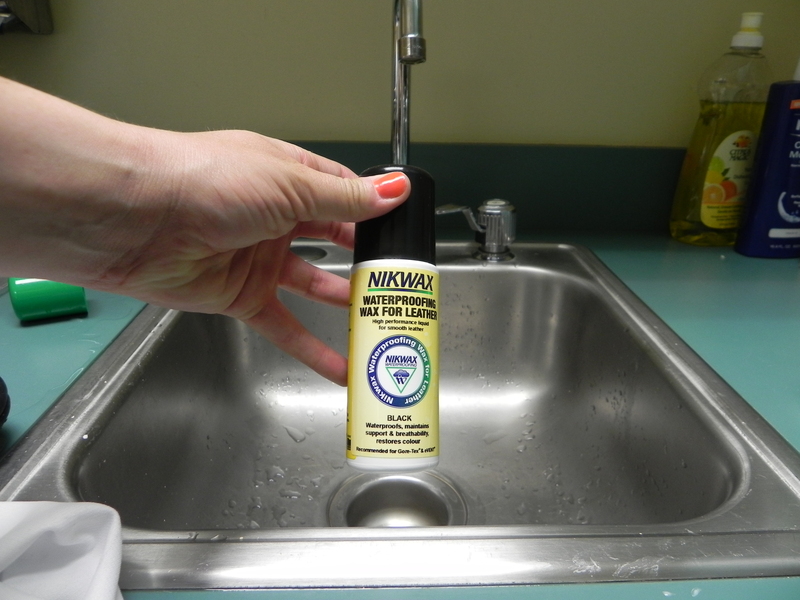 IF you choose to use a colored Nikwax product, be careful, the liquid is runny and it can stain. The finished product - the white marks are gone and the leather is soft and flexible again! 7. Repeat with shoe #2. BEFORE - looking pretty sad, indeed! AFTER - they look new again! Boo-yeah, Nikwax! Any and all of these products can be found online at retailers like Amazon, REI, Altrec, Backcountry. Or use the Dealer Locator on our website to find a Nikwax dealer in your ‘hood. Have fun! Enjoy the sun! Stay dry. Categories: Gear Care, Product Information | Tags: born shoes, cleaning shoes, Conditioner for Leather, fashion footwear, footwear care, Footwear Cleaning Gel, how to clean, how to waterproof, How-to, leather care, leather cleaning, salt stains, shoe care, watermarks, Waterproofing, Waterproofing Wax for Leather | Permalink.